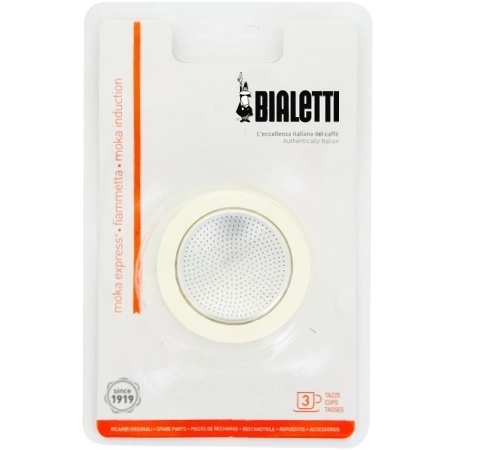 A set of 1 joint + 1 filter for 3 cups Bialetti Moka (Induction heat) moka pot. Stainless steel permanent filter suitable for up to 2 cups or 300ml. A perfect addition to your dripper or coffee maker from the Kinto Slow Coffee Style range.